And it all stemmed from a little scan of all the glitter-covered items on ASOS which led me directly to this Lulu Guinness Ellie Glitter Across Body with Novelty Face. 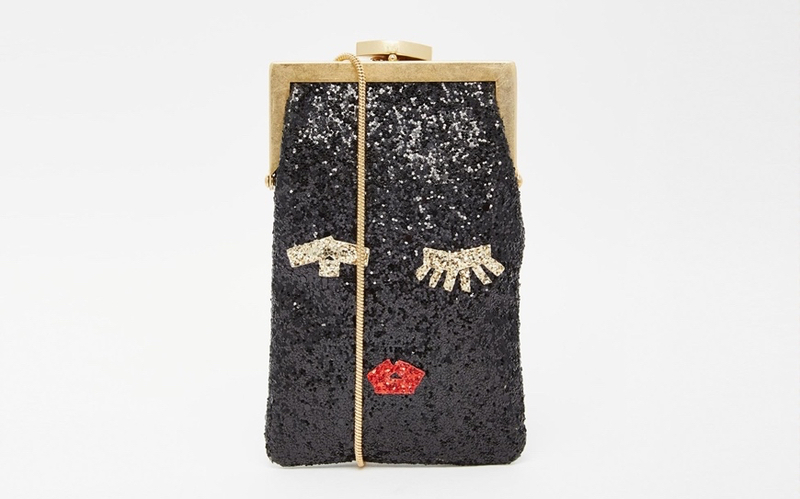 I mean, come on, the black glitter, the super-cute clip top closure, the satin lining, the long gold chain and the winking eyes. I adore this bag. I very much doubt I could fit a single thing in other than my debit card and a lippy but who cares when it looks this good. Am adding this to the dream wish list pronto.